This is new to Red Bubble and I think it’s great. 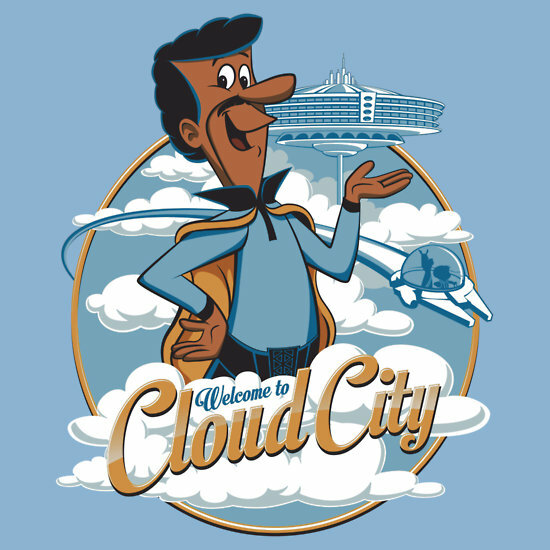 Welcome to Cloud City by DJKopet has great humour with George Jetson as the “scoundrel” administrator of Bespin’s cloud city. It’s available as both a tee shirt and a sticker. This entry was posted in Art, Stickers, Tee Shirts, Things that i don't have yet... and tagged Art, Bespin, Cloud City, DJKopet, Lando Calrissian, Millenium Falcon, Millennium Falcon, Star Wars, The Jetsons. Bookmark the permalink.